Successfully Added 4 Channel Digital Video Recorder - MPEG4 Compression -PAL to your Shopping Cart. Sometimes only the best will do, if you need a single standalone product that can act as the heart of your surveillance system then you're on the right page. This DVR powerhouse is brimming with features ensuring easy integration with existing security networks as well as simple setup for new ones. With two SATA drives connected you can address up to 1TB (1000GB), that's an incredible amount of space for archived recordings, and if they get full you can then easily back up via USB or network. MPEG4 compression is completed on board to minimize disk space usage and the unit is able to encode all for channels at once, and do 2 of them with audio - simply incredible. Add a VGA monitor to the output and you have yourself a professional security station with more functions than you'll know what to do with. 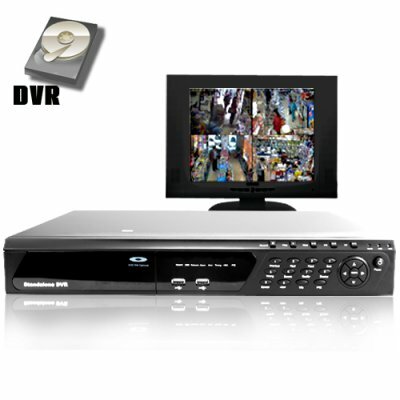 Order now from Chinavasion and be simply blown away by this great wholesale DVR. Really good product at a very affordable price ! Manual is non-understandable english, not helpful to me. I have to test the network function.. The CD-rom installation files were wrong.. But I got it by mail from chinavasion.